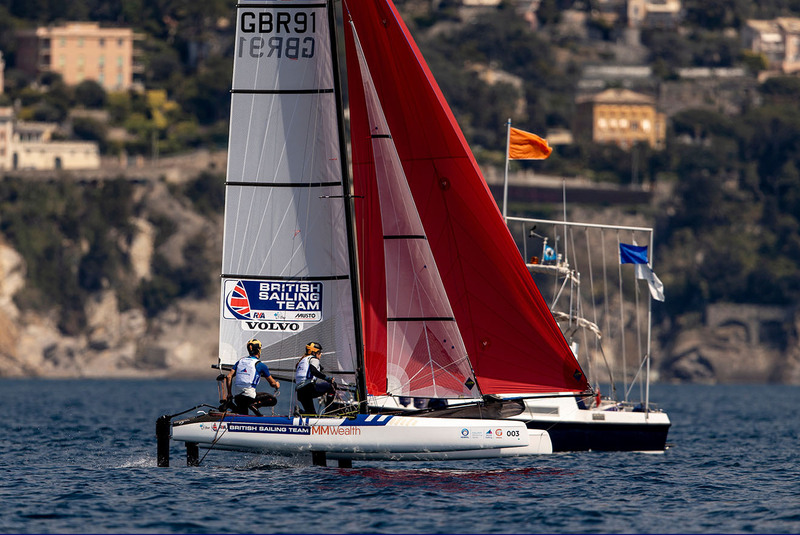 In the latest of our daily race analysis pieces from the Sailing World Championships, renowned sailing expert Mark Chisnell looks at a Laser masterclass courtesy of Nick Thompson. The first day of Gold Fleet racing in the Laser Standard fleet was a tough day at the office for everyone. The first attempt at a race was abandoned after three legs. A second attempt wasn’t much better but at least it crawled to a conclusion. The forecast had promised better than yesterday’s unstable offshore breeze, and it did finally deliver. The gradient had switched around to blow onshore from the east and warm sunshine and hot air rising off the land provided some thermal enhancement. 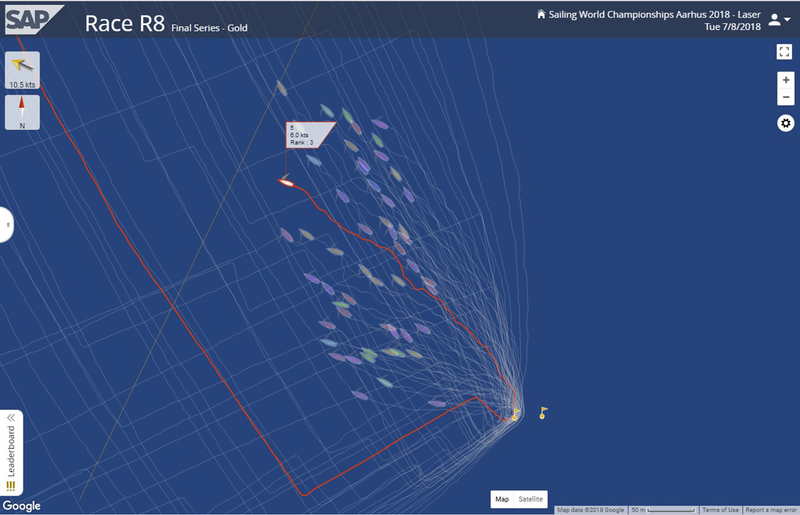 The second race of the day – Race 8 of the series – started in 10-11 knots of east-southeasterly and produced a masterclass in downwind sailing from Nick Thompson. Thompson had his best start and first leg of the day with a fourth place at the top mark. 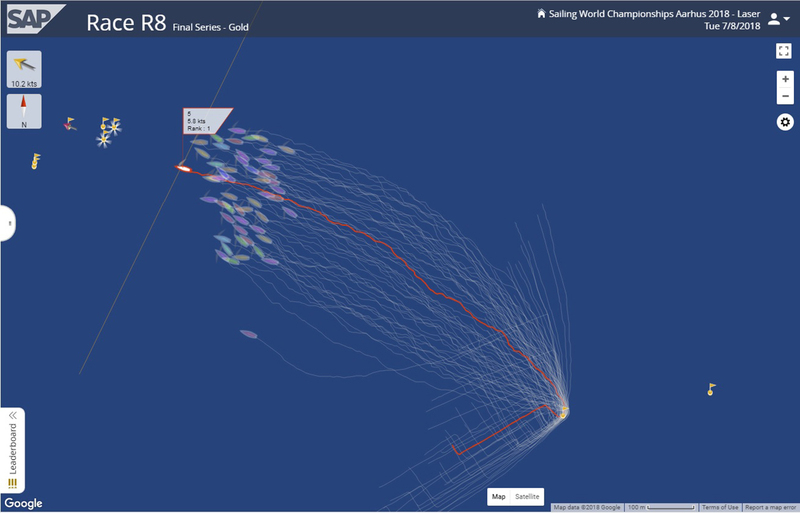 We’ll pick it up just after that in Image 1, with Thompson the red highlighted boat #5, still ranked fourth. He’s worked downwind of the boats around him though and found a great piece of clear water to sail his own race. In Image 2 we can see how Thompson had sailed lower than everyone else, and while it looked like he’d done it by spending time on port gybe, that was an illusion, it was just great technique. 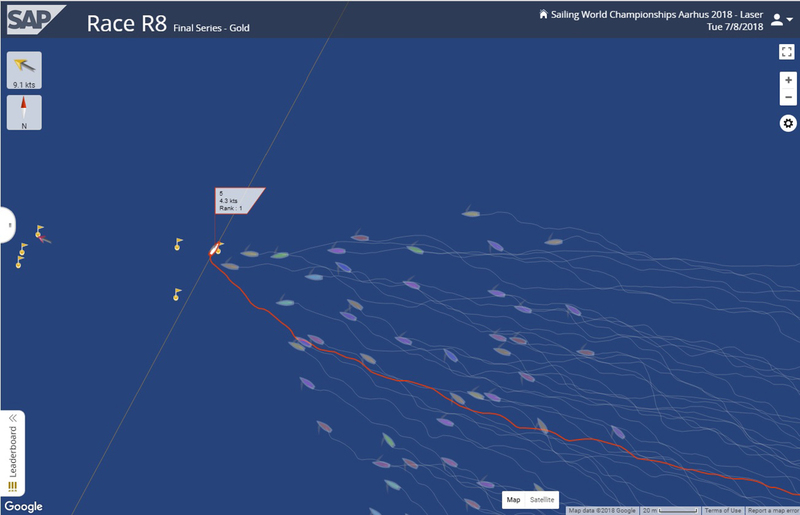 Everyone was sailing on starboard, Thompson was just doing it better, managing to go both faster and lower. Let’s have a look at how he did it. The first clue is in the tracks in Image 2 – there were very few straight sections in the red highlighted track of Thompson. There’s a lot going on here. If we move to Video 1, we can see Thompson sail into the frame with the initial leader, Pavlos Kontides of Cyprus. He was the 2012 Olympic silver medallist, so no slouch. It was all about catching the tiny waves smoothly. 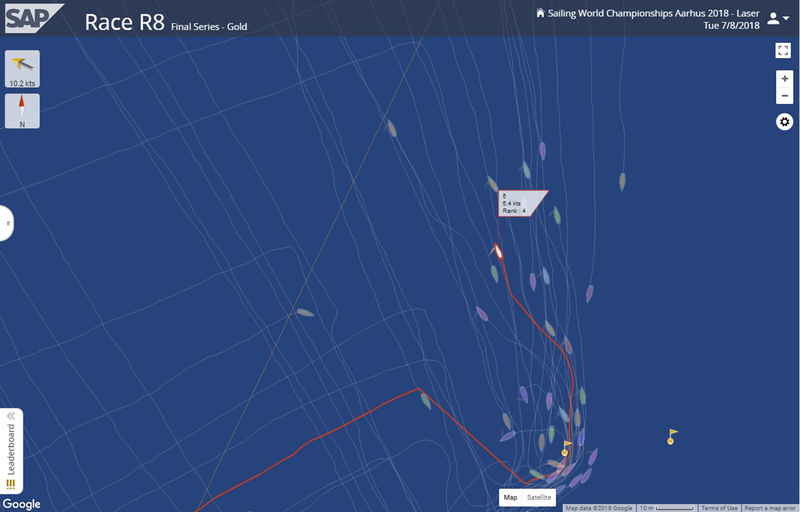 There were big course changes between a broad reach and sailing by the lee, but there was nothing dramatic about it. And it was all perfectly timed. Thompson luffs up to a broad reach to accelerate when he sees or feels a wave start to form. He doesn’t look back much – if at all – so he’s doing this by feel, and by watching the water ahead and under the bow of the boat. At the same time he pulls in the mainsheet, leans some weight outboard. When he feels the boat start to accelerate and he’s sure he has the wave there’s a smooth turn downwind to sail by the lee, moving the body weight in a little and easing on the mainsheet. On occasions, it was just mainsheet and steering, with the tiniest body movements. It was subtle, smooth and very fast. In Image 3 we can see how beautifully he executed on this leg. He sailed less distance, going almost directly to the bottom gate and he did it more quickly to sail straight past the three boats in front. Video 2 has a slightly different angle, and it’s also interesting to watch him check both centreboard and rudder for weed. 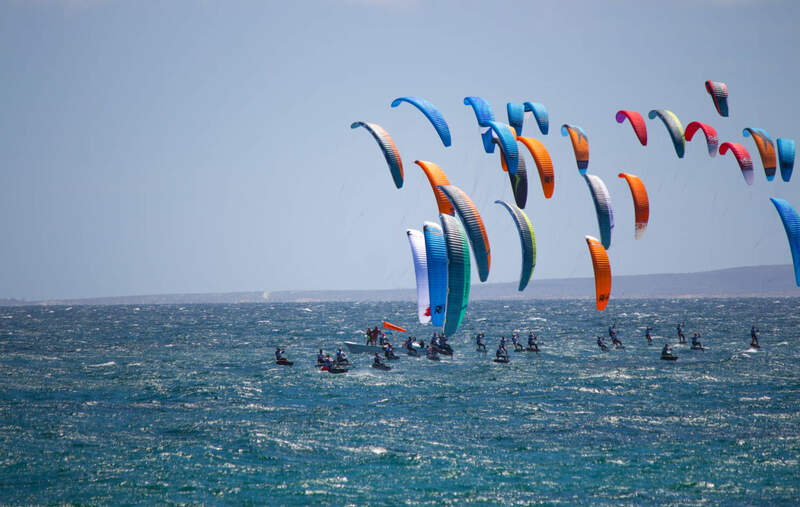 There was nothing stressed or hassled about this – and weed can be very stressful when you think you have it on the foils – but it was just accepted as something that needed to be done and was fitted into the process of catching waves without missing a beat. In Video 3 there was one final weed check on the daggerboard before a smooth mark rounding to head left onto the second upwind leg. In Image 4 we see the same thing, coming up in front of the group of boats to windward for the mark rounding and taking a lead that he never relinquished, going on to comfortably win his first race of the regatta. 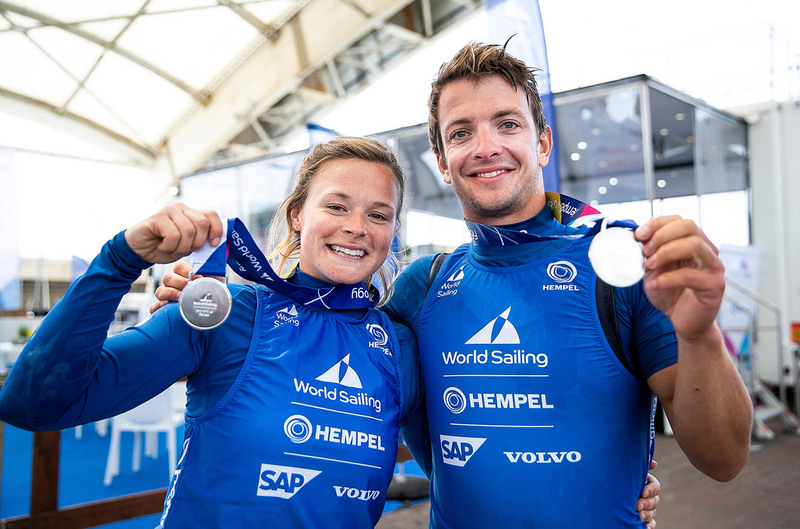 Next PostWatch day 6 of the Sailing World Championships - LIVE!